The exact evaluation of the probability that the maximum st-flow is greater than or equal to a fixed value d in a stochastic flow network is an NP-hard problem. This limitation leads to consider Monte Carlo alternatives. 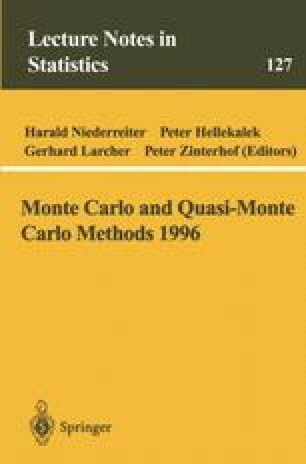 In this paper, we show how to exploit the state space decomposition methodology of Doulliez and Jamoulle for deriving a Monte Carlo simulation algorithm. We show that the resulting Monte Carlo estimator belongs to the variance-reduction family and we give a worst-case bound on the variance-reduction ratio that can be expected when compared with the standard sampling. We illustrate by numerical comparisons that the proposed simulation algorithm allows substantial variance-reduction with respect to the standard one and it is competitive when compared to a previous work in this context.